Traveling by train in India is a hassle. The reason being for that is delayed train. Also, sometimes the train gets canceled. The only way people could check it was through the IRCTC website. Alternatively, inquiry number 139. Now there are many third-party applications, but still, the task isn’t that much easy. 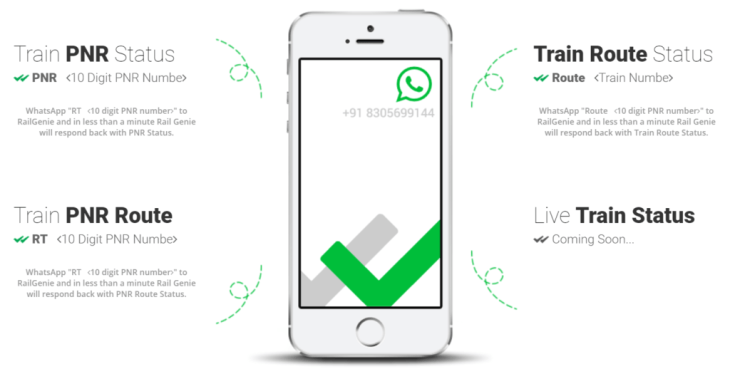 Now, You can get these all details via WhatsApp. How could you check from WhatsApp? In a new partnership between Indian Railways and Make my trip. Indian Railway announced this which is done for the simplified process of checking. Live stats and PNR status. Which so far had been a hassle. 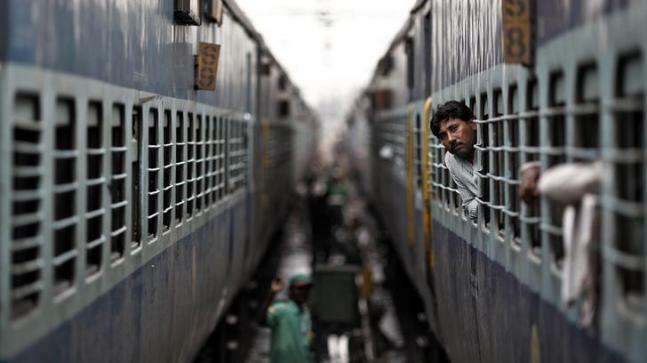 This partnership would make checking information about the running status of trains, PNR easy. This is where Whatsapp comes in, and all a user need to do now. Is to drop a Whatsapp messege and all the information would be sent to him. Through a WhatsApp message instantly. What are the steps necessary for this? Anyone who wants to receive information about such inquiry. Just need to follow the following steps. Step 1- To get the information, You must have the latest version of the app. So everyone should check whether he or she has the newest version of the application. They can check it from Play store, and update if they don’t have the latest version. Step 2- 7349389104, is the number of MakeMyTrip. Anyone who wants to find running status or PNR status. Must save this number in their contact book. 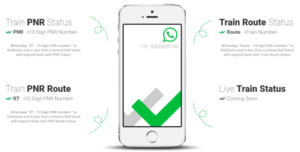 As this is necessary for WhatsApp to be able to send text messages to any number. Step 3- Open WhatsApp and click refresh contact. This would ensure that the latest change in contact, is now synced with WhatsApp. It could detect a new number on its own. However, in some cases, it needs a refresh. Step 4- now open your WhatsApp, click on the number you have saved and dropped text. Which would be train number if you want to know the running status. Alternatively, PNR if you’re going to check PNR status. 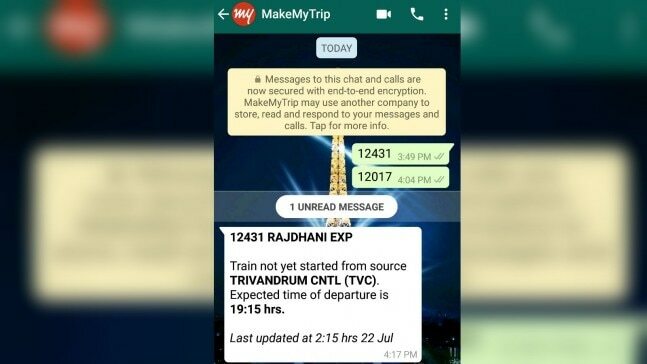 This new features, which came after the partnership between MakeMyTrip and Indian Railways. Is said to make it easy for passengers. To get all the necessary information about the train.